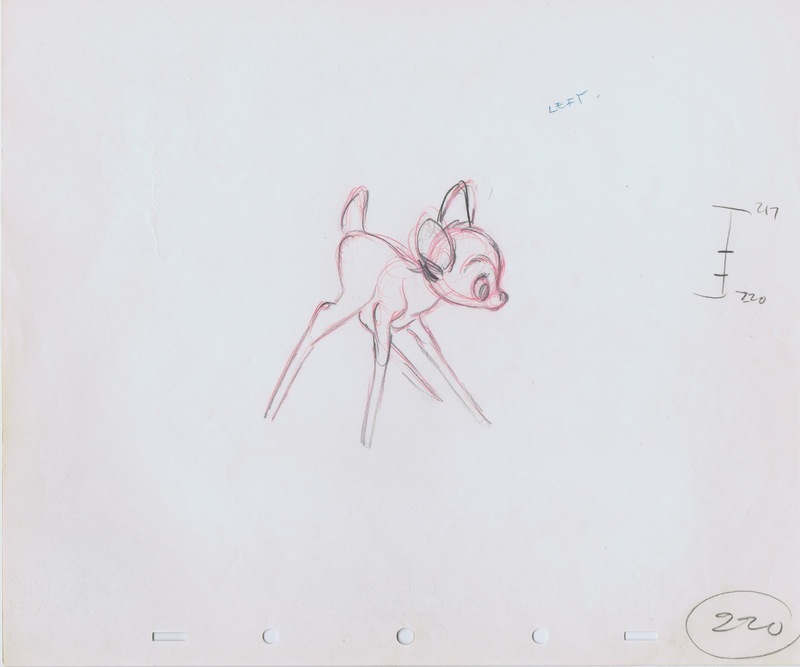 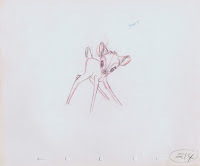 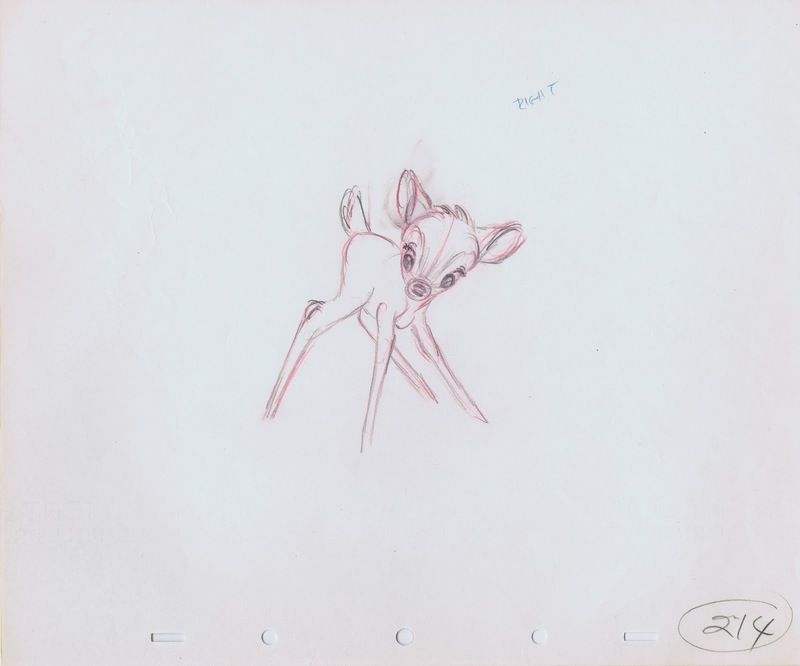 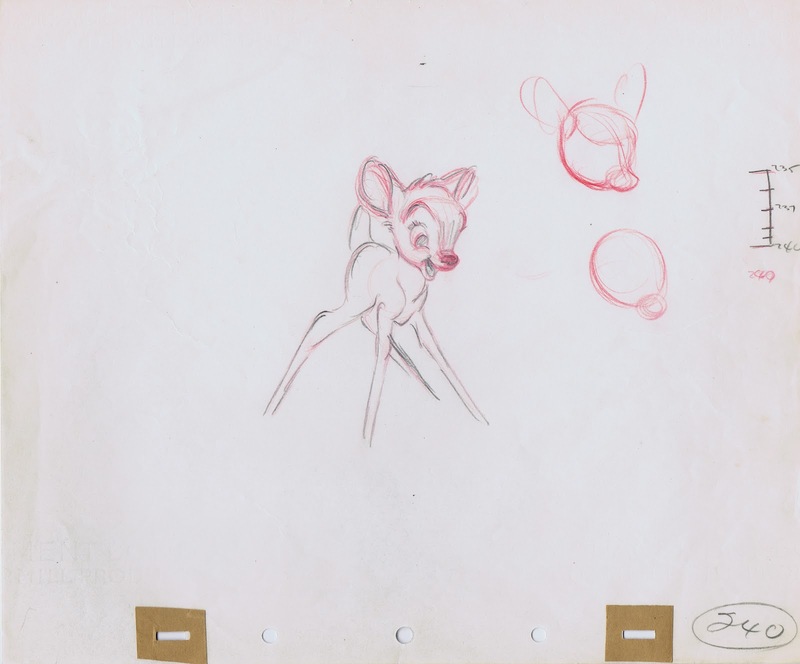 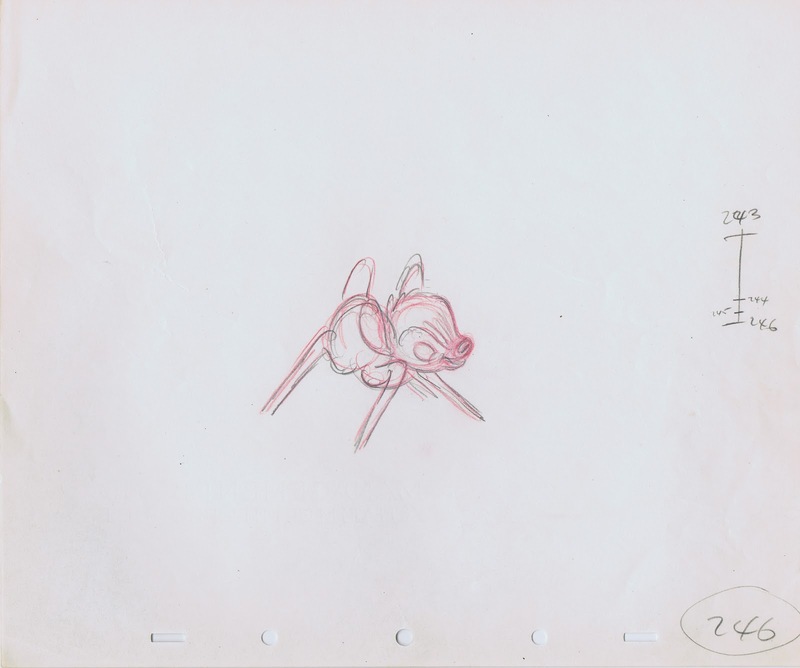 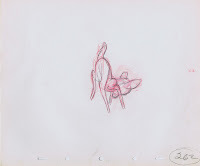 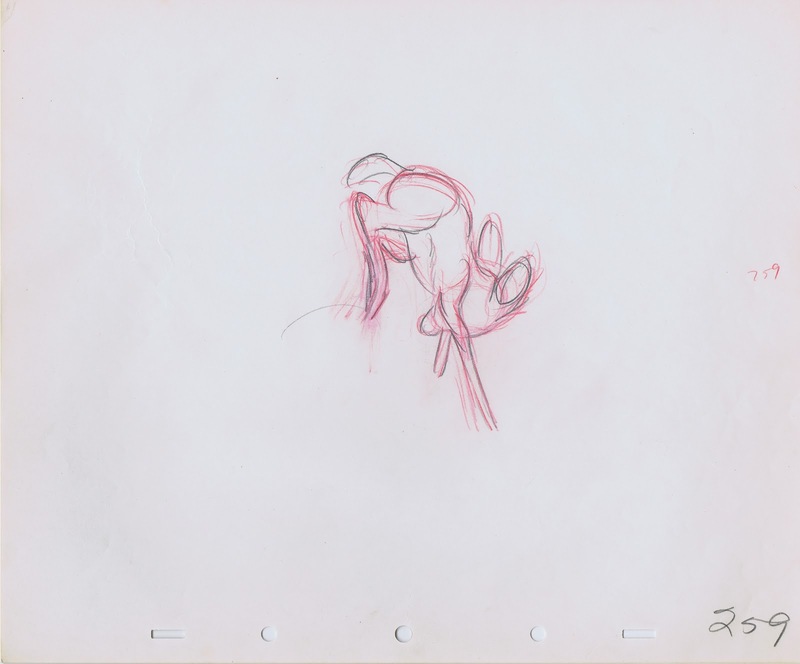 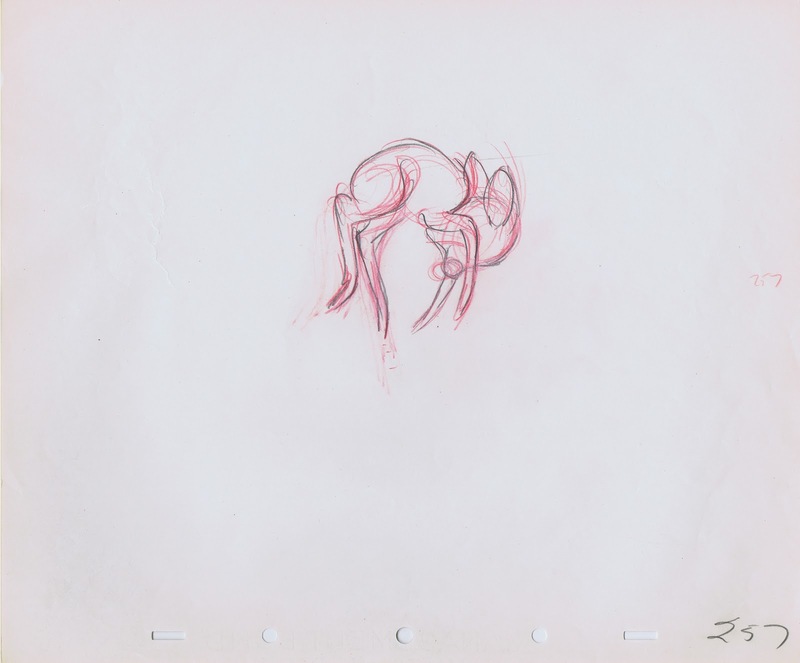 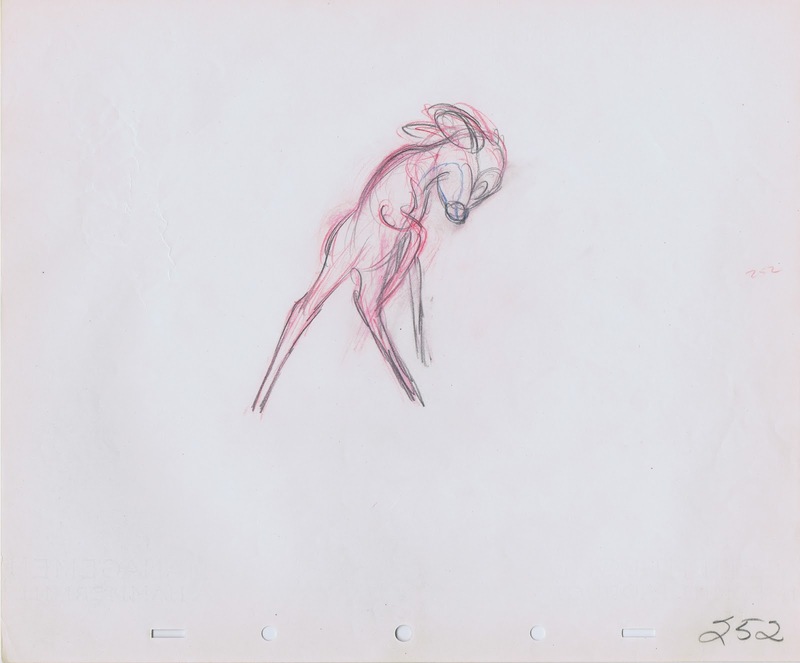 This is a scene by Milt Kahl which doesn't appear in the final movie "Bambi". 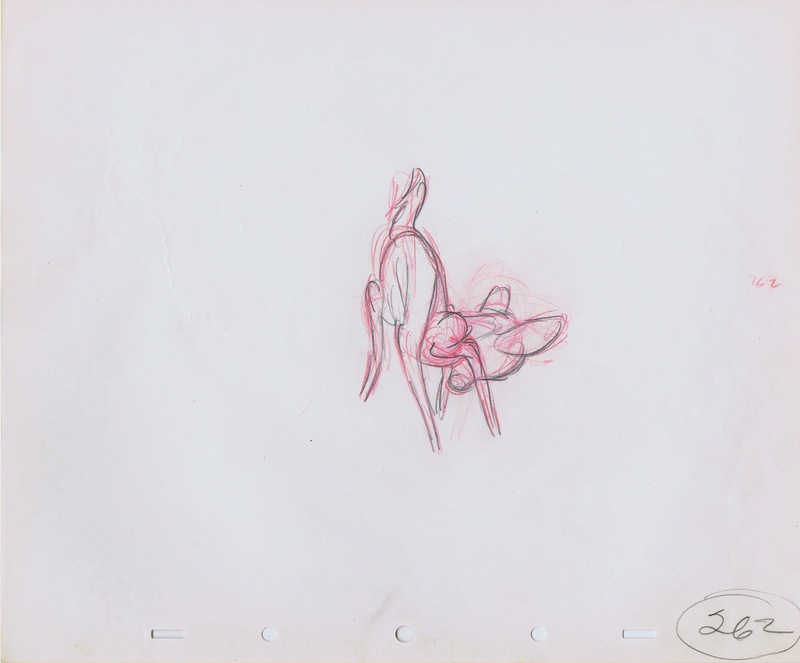 It looks to me like the scene was either cut from the film, or it was just a piece of test animation, done before actual production began. 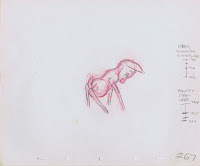 I created this pencil test a few years ago and showed it at the Academy's tribute to Milt Kahl. 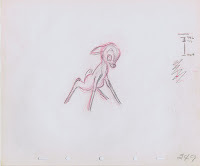 There were a bunch of in-betweens missing, so I drew those based on the key drawings' charts. 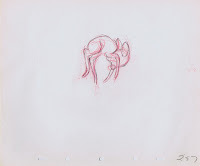 When I watched the pencil test for the first time, I wasn't sure if the timing is 100% accurate. 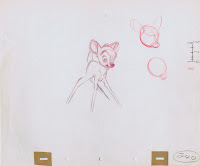 There was no exposure sheet to go by, so I just timed the drawings based on their numbers. 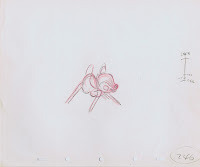 I do know though that occasionally (especially in the old days) the numbers don't always give you the final timing. 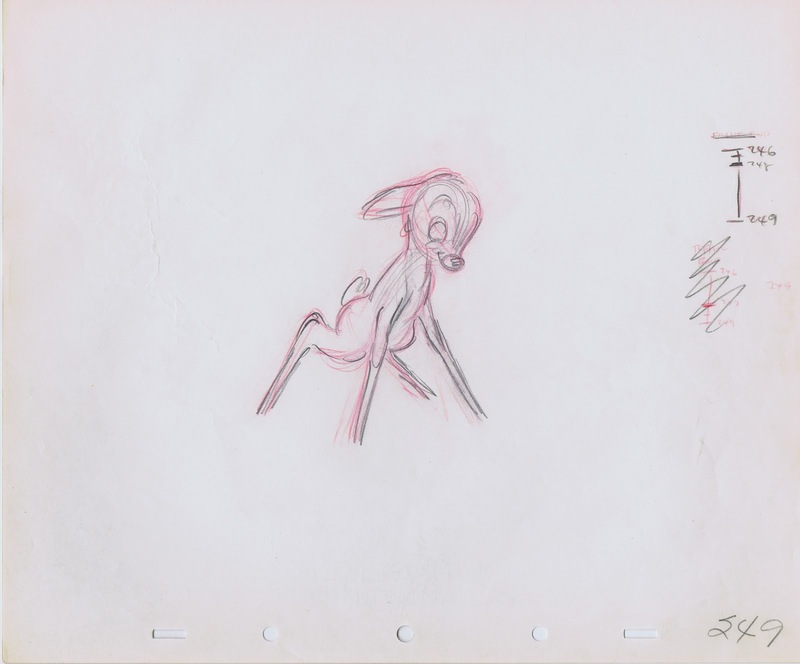 In other words, drawings numbered on ones could be exposed for two frames for the final scene. 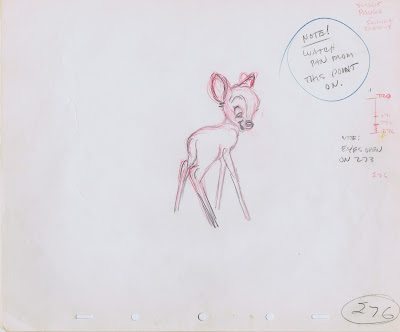 Also, it seems to me that Bambi is interacting with some other character, possibly a few bunnies. 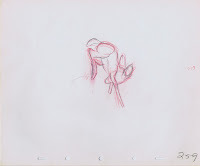 Still, even just like this it is a gorgeous piece of animation to look at, done when Milt Kahl was about 30 years old. 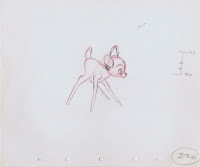 There is full knowledge and control over the motion range of a fawn's body. 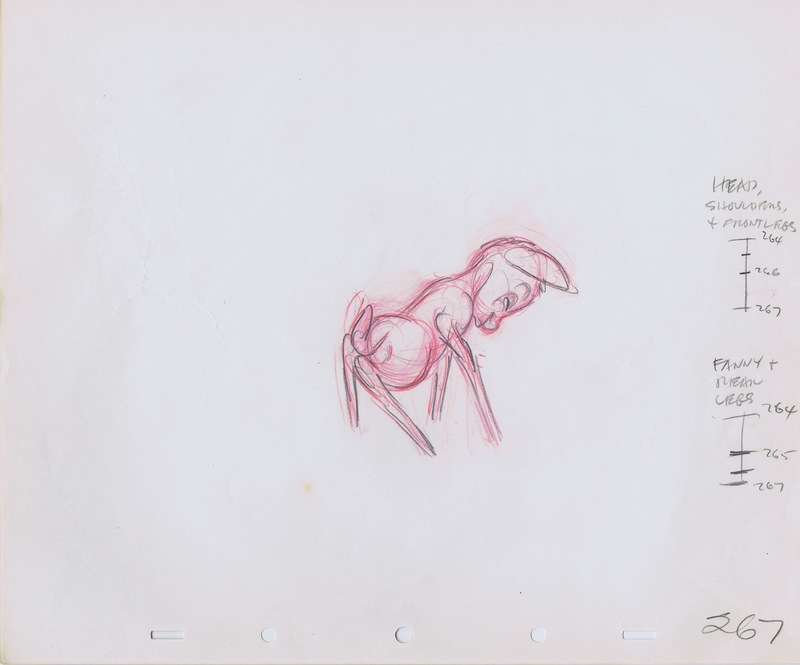 And Milt knew how to combine that with the emotions of a little kid.